Ahhh, shopping with a capital ‘S.’ This is Seminyak, the high end shopping capital of Bali, located at the southern end of the island, north of Legian. 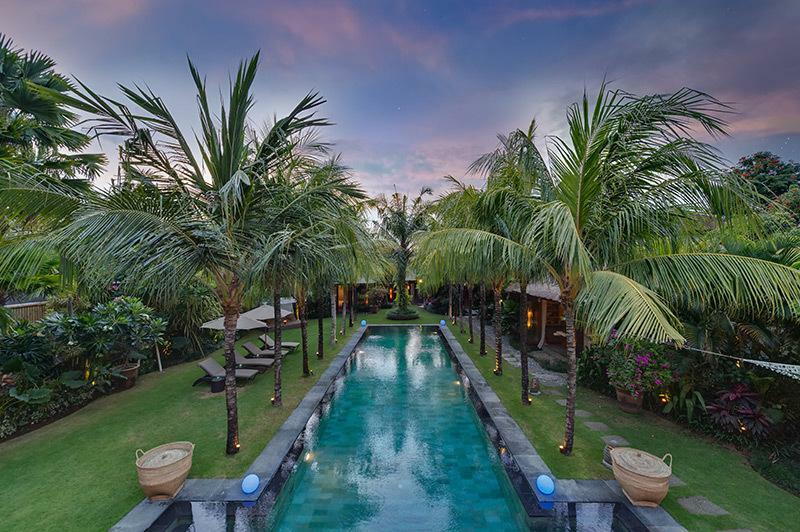 Revel in a plethora of fashionable boutiques, Indonesian handicrafts at their utmost, restaurants, hotels, villas, spas, and upmarket bars and clubs dotting the shoreline of Petitenget Beach. 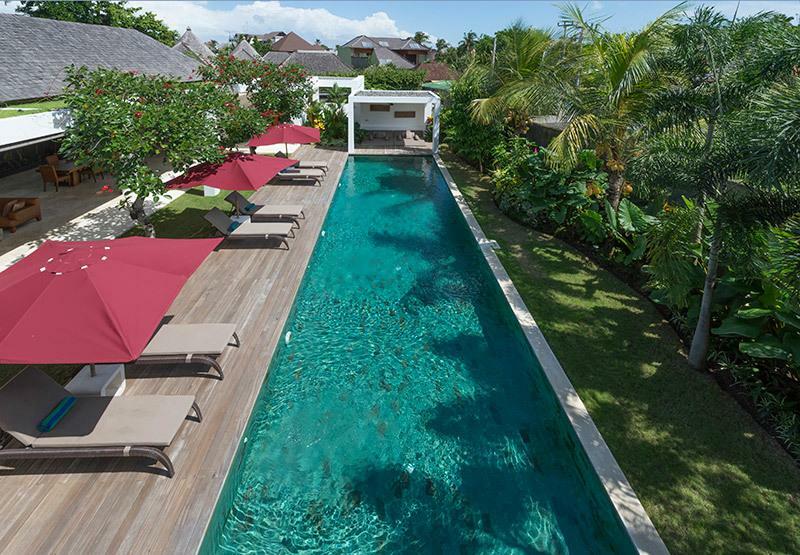 View these stunning Seminyak Villas and make an inquiry online to book your luxury stay. 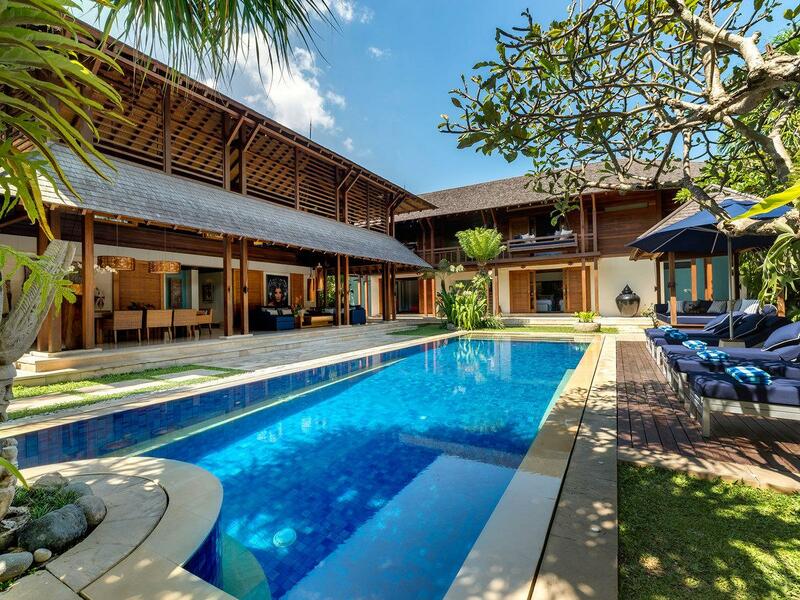 Indonesia is the fourth most populated country on earth and consists of more than 17,000 islands with the magical island of Bali situated at its heart between Java and Lombok. 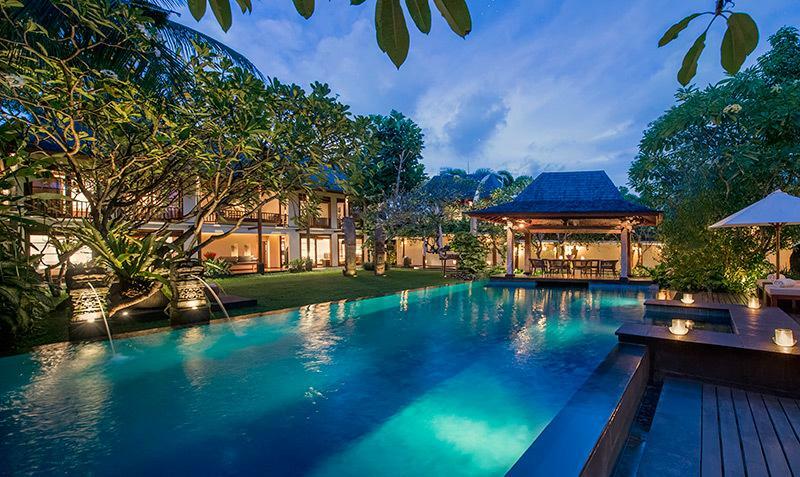 It is flanked by the Bali Sea to the North and Indian Ocean to the South and with a population of around 4 million people is the only Hindu society in Southeast Asia. 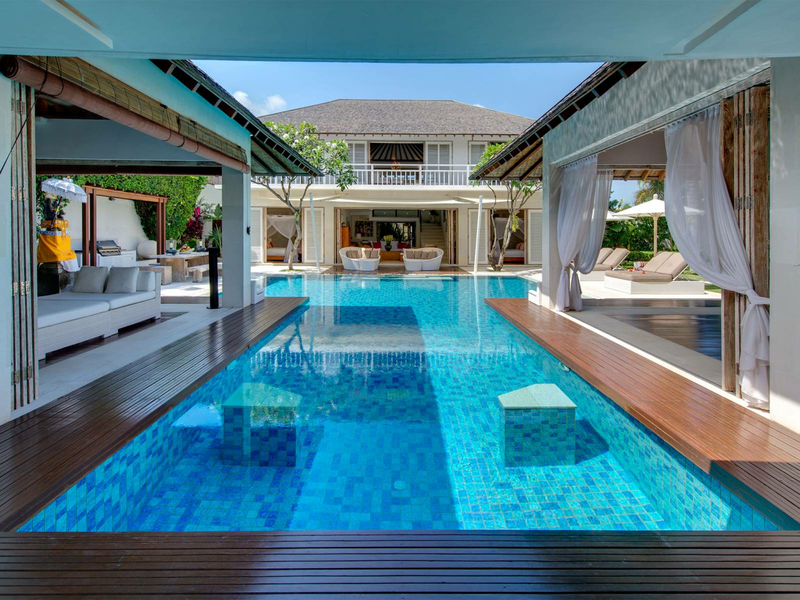 Often described as The Land of the Gods, Bali has many attractions for the millions of visitors to its shores and is the most popular tourist destination in Indonesia. 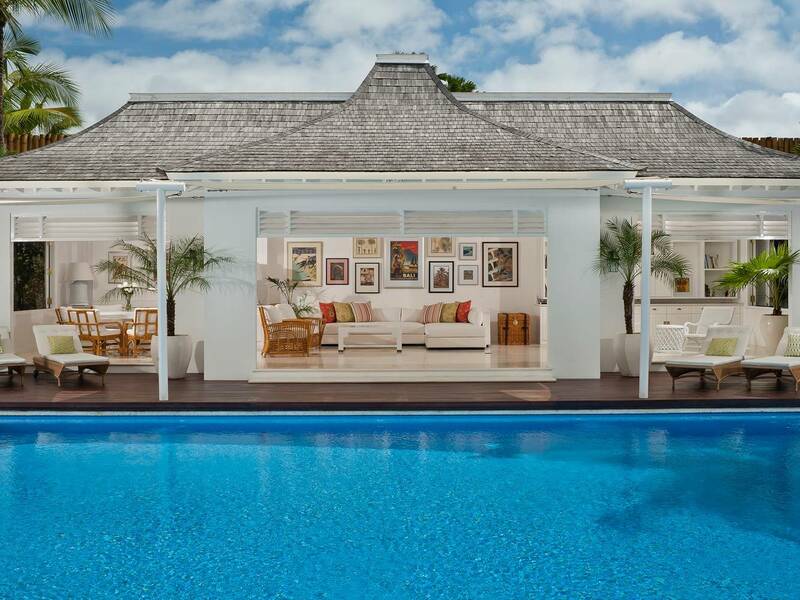 You have just entered into elegance- island style. 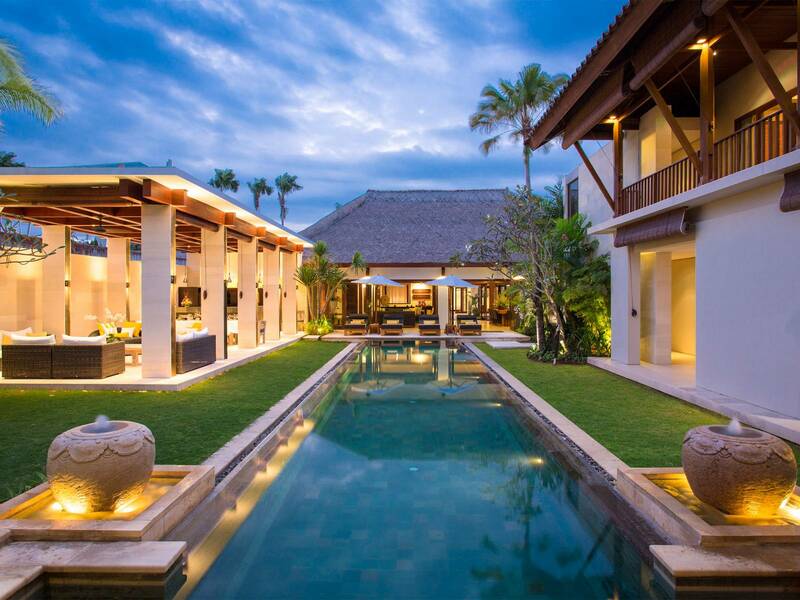 This luxurious garden oasis is a perfect getaway for the whole family. 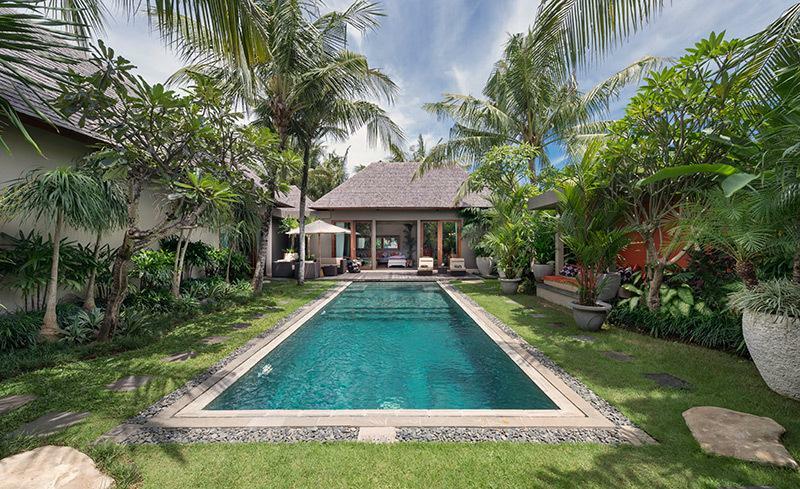 The villa is an elegant four-bedroom residence situated in a secure and private, gated estate in the heart of fashionable Petitenget on Bali's south-west coast. 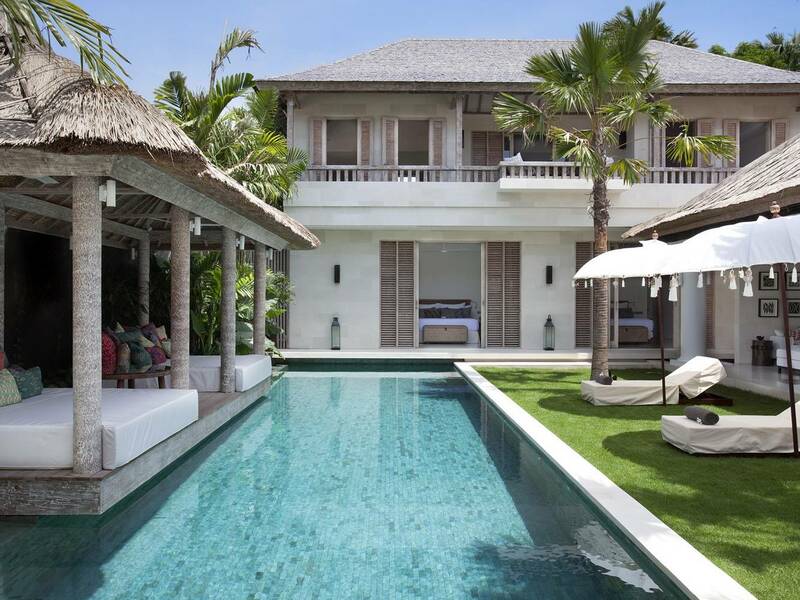 The villa is a hidden oasis – sophisticated, secluded and exclusive, yet located in the heart of bustling and fashionable Seminyak. Watch locals perform ceremonial offerings to the gods at the beach against a fabulous sunset backdrop and gamelan music in Seminyak. 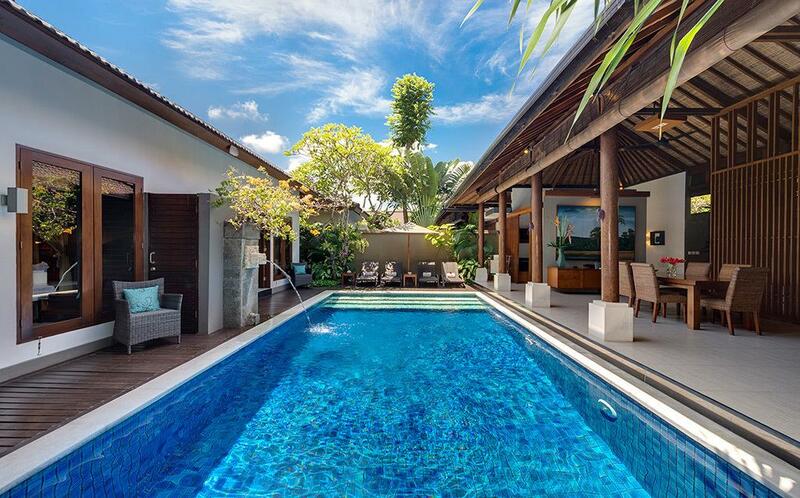 This formerly small fishing village, as were most Bali coastal areas, still maintains the Balinese small town feel with its deeply rooted traditions. 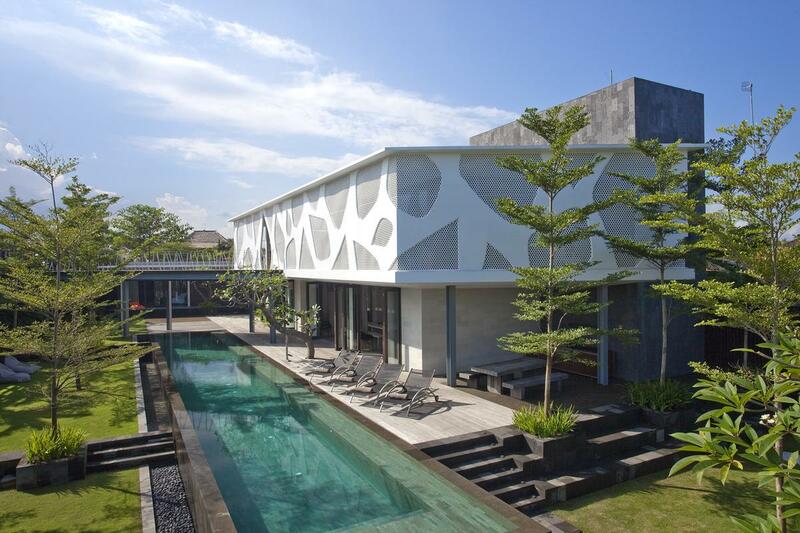 Seminyak is more sophisticated and laid-back than Kuta. 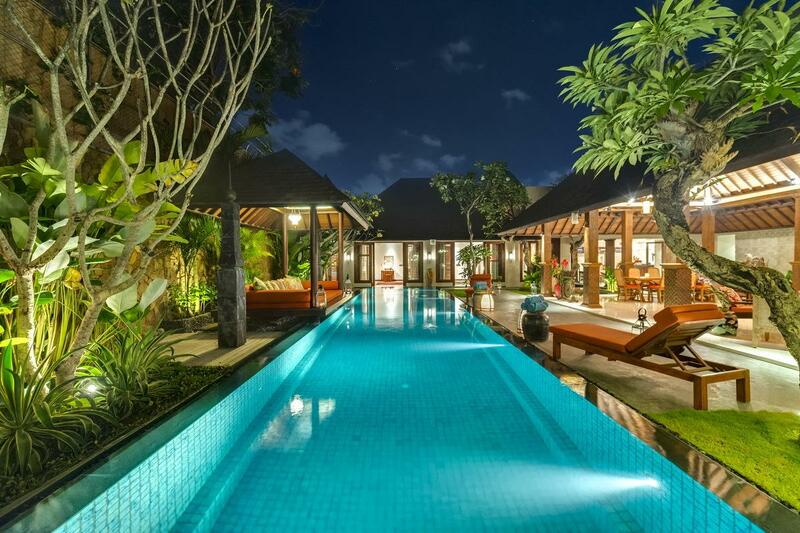 Book your stay at one of these Seminyak villas today with Villa Getaways for your luxury escape to Bali.